It is often stated that NASA scientists turned to the aerodynamically shaped Australite buttons when designing re-entry vehicles. However, in the 1962 NASA Technical Report R-134 it is stated '...atmosphere-entry research on glassy heat shields for missiles and spacecraft has been advancing in the past few years in a spirit oblivious to the existence of tektites, while producing in the process research results which have a crucial bearing on the controversial scientific question of tektite origin.' It is apparent that once the link between atmospheric re-entry and certain tektites from Australia and Java had been established, these tektites became a hot research subject. Experiments faithfully reproduced the concentric ring-wave flow ridges and 360 degree radial flow lines from the central stagnation point, which form on the anterior surface of australites. 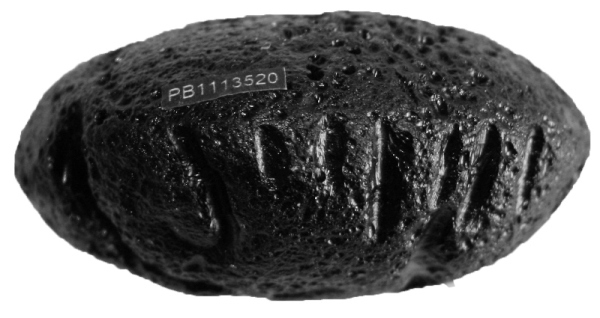 The characteristic flanges, forming on the posterior of button tektites were also reproduced. The slight difference between the natural and artificial flange is explained due to the natural tektite experiencing 'flight conditions wherein the deceleration body force at the time ablation terminated was between one and two orders of magnitude greater than the earths gravitational force'. The experiments were carried out 'in a vertical arc jet wherein the gravitational body force was insufficient to counteract the natural tendency or surface tension to form round flanges'. Chapman, D. R., Larson, H. K. and Anderson L. A. 1962. Technical Report R-134: Aerodynamic Evidence Pertaining to the Entry of Tektites into the Earth's Atmosphere. National Aeronautics and space administration. The frustrum shape of the re-entry module is aerodynamically stable and designed to create drag to slow the space craft down during re-entry. The shape means that only the frontal surface is exposed to high temperatures. 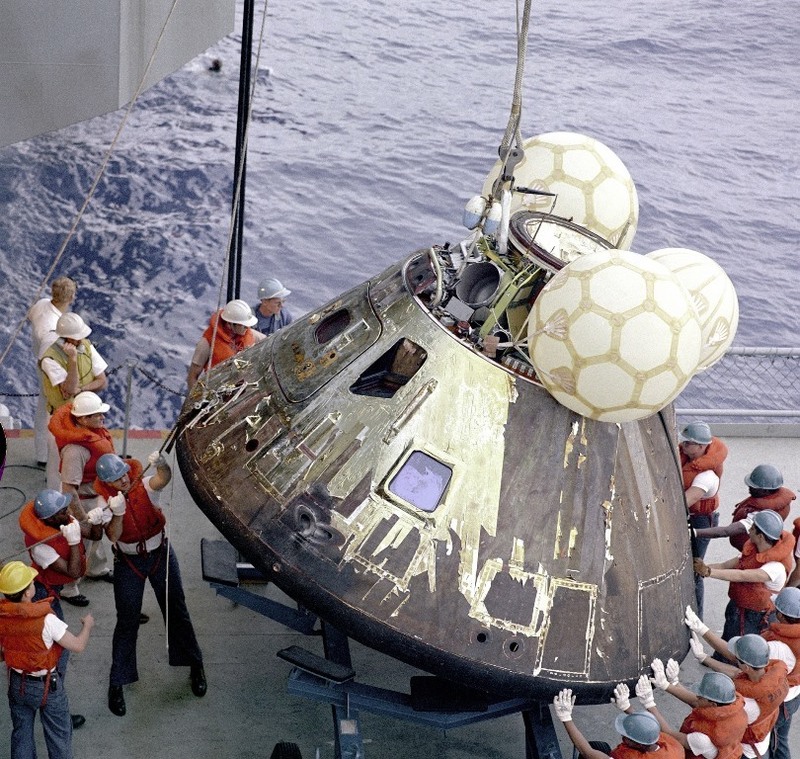 ABOVE: Apollo 13 re-entry vehicle. A common myth is that friction with the atmosphere creates the heat during re-entry of a spacecraft, meteorite or tektite. In fact, air is compressed behind the shock wave. Compressed air gets hot and this heats the body of the spacecraft, meteorite or tektite. ABOVE: Apollo 10 re-entry vehicle. ABOVE: Cross section of an Australite button from the aforementioned NASA paper. The bottom surface (anterior) has a similar shape to the re-entry capsule. The posterior is the original primary surface. 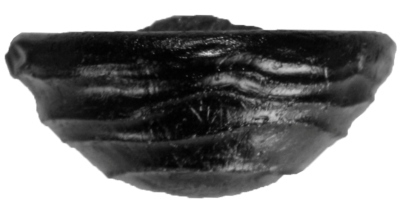 ABOVE: An Australite button in side view. ABOVE: A biscuit Philippinite. These appear very similar in shape to re-entry modules, but in fact the smooth side (top) is the posterior surface, unaltered since formation of the primary shape! 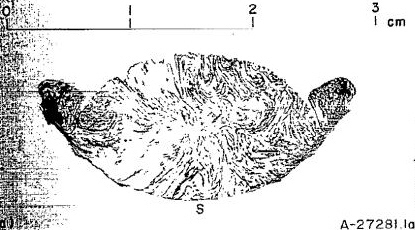 The grooved side formed through loss of the stress shell.